YB Cage ads is an online only service. 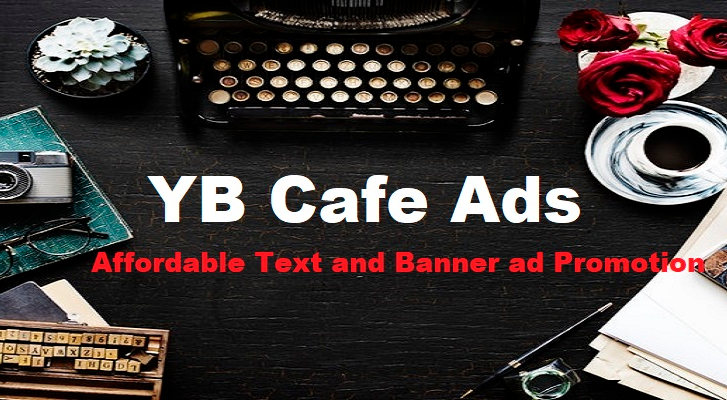 YB Cafe Ads is a text and banner ad promotion service. All ads are displayed through out a small network of websites. Text Ad packages start at just two dollars. Banner ad packages start at just five dollars.